A firecracker of talent that powers one of the hottest shows in any genre of music! World Class Musicians, and an Award Winning Voice seamlessly set the stage for a breath-taking, one-of-a-kind, must-see performance; that reaches beyond the boundaries of bluegrass music! Breaking a stereotypical image, Rhonda Vincent takes the stage in designer gowns, stiletto heels, in a take-charge manner, far from the type set that Hollywood has portrayed as the image of acoustic music. “We’re changing the landscape of our music in many aspects; to show we are sophisticated, educated, and hold a deep respect for the tradition of our music, keeping the roots embedded within the perimeters of our songs, to create a balance of tradition mixed with a contemporary flare, and present our own unique brand of music,” Rhonda explains. Rhonda Vincent makes having a successful career look easy. Behind the scenes, she’s a savvy businesswoman with a tireless work ethic. At center stage, she makes a magical transformation to wow her audiences, with a fresh cover girl face, and complementary curves; all while showing off her chops as the genre’s finest vocalist, and playing break-neck riffs on the mandolin. The Voice of Rhonda Vincent is the centerpiece, surrounded by the rhythms of each instrument; featuring the individual styles of the world class musicians that collectively make up The Rage. Their talent is unmatched. Each and every member can sing every part, and play every instrument. Their depth of skill sets the stage for the highest level of professionalism in every performance. 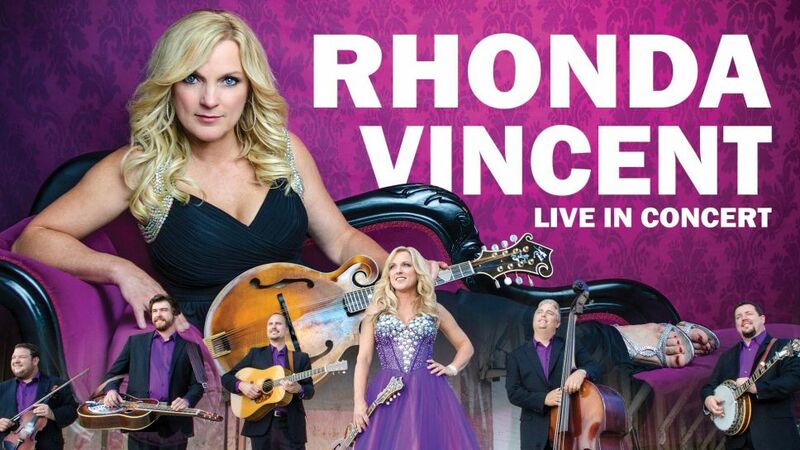 Rhonda Vincent & The Rage are one of the HOTTEST TICKETS in any genre of music! Upon completing an order, your confirmation and tickets will be sent directly to your e-mail inbox. This is your ticket you will present at the show, via printing out or scanning on your smartphone. If you need assistance or would like your tickets mailed, please call (863) 494-9362. Please note there is a $2.00 fee for all phone and mail orders.